Welcome to the website of TOMS.gr, LLC (together with any of its subsidiaries or corporate affiliates, "TOMS," "we," "us" or “our”)! At TOMS®, our goal is to protect the privacy and security of your personal information. 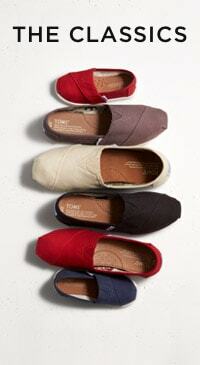 TOMS® collects information from you when you choose to provide it to us. This includes, but is not limited to, individually identifiable information, such as your full name, a user name and strongly encrypted password, email address, phone number, physical address and billing information. 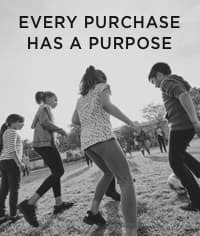 The information that you provide to us, including information that we automatically collect about you (as explained above) and information we receive from third parties may be used to make TOMS’ marketing efforts more efficient. The information that you provide to us, including information that we automatically collect about you (as explained above), may also be shared with trusted third parties for their own marketing purposes. If you prefer that we do not share your information with these third parties, please email us at [email protected] with “Opt Out” in the subject line along with your full name, address and email address in the body of the email. We do not intentionally collect personally identifiable information from children under the age of thirteen (13). If you are under the age of thirteen (13) you should not register, order, purchase or provide information to or from TOMS®. If you have knowledge that a child under the age of thirteen (13) has submitted Personal Information to us, please email us at [email protected], and we will remove that child's personal information from our files. You can (a) access, correct, or update your Personal Information, and/or (b) disable your online account to prevent any future purchases through that account. You can make these requests by emailing your request to TOMS® Customer Service department at [email protected]. Please clearly label the subject line "Corrections / Disabling Account," and do not email your credit-card number or other sensitive information. In specific circumstances, proof of identity and payment may be required. © TOMS.gr, LLC. 2019, all rights reserved.